Last fall, the United Arab Emirates leader HH Sheikh Mohammed bin Rashid Al Maktoum announced the Arabic E-Learning Project. It commenced with a translation challenge that sought to capture 11 million words and phrases in Arabic and create 5,000 educational videos. That effort will conclude next fall. 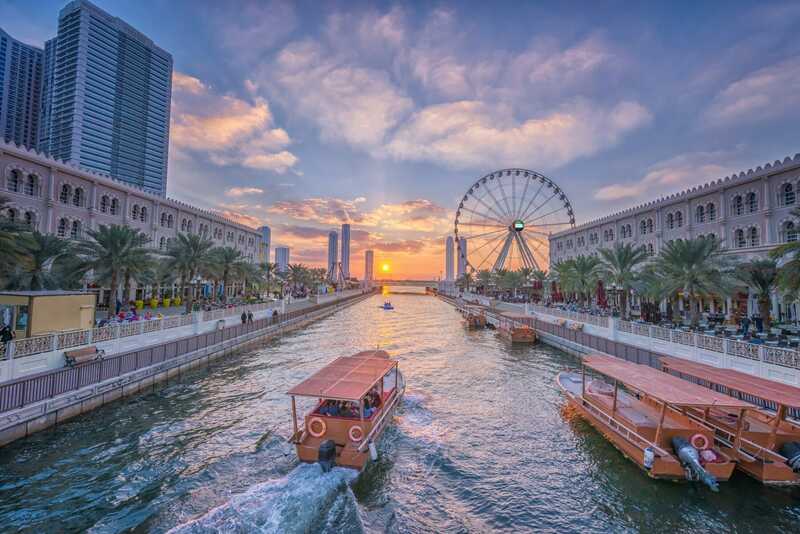 But in the city of Sharjah, another eLearning effort has been ongoing. Dubbed ‘Lughati,’ or ‘My Language’ in Arabic, the initiative seeks to bolster Arabic language instruction for 25,000 students and 1,000 teachers in the city. Most recently, 3,100 tablets have been distributed to young learners throughout the Emirates. 130 storage lockers and charging stations were also installed throughout Sharjah schools, and teachers received additional training on implementing devices in the classroom. The devices were given to all 2nd and 3rd grade students with learning difficulties at 54 different Emirati schools. It marked the third of six phases and cost 15 million AED, or over $4 million USD. Launched in 2013, the Lughati initiative has already provided thousands of tablets to Kindergarten and 1st grade students, along with teaching resources for their teachers. The effort is led by Sharjah’s ruler, Dr. Sheikh Sultan bin Mohammed Al Qassimi. “The completion of phase three means that more than 11,000 children now have access to smart devices and can benefit from the very latest technology in their education. For that many students to be part of a digital classroom is an exceptional achievement and will provide a world-class learning environment for all those involved,” said Lughati Manager Badria Al Ali, according to Arabian Business. “By using the very latest technology in schools, Arabic will stay a leading language relevant to science, the arts and modern technology and in an ever-evolving world of education, this will help our students to stay one step ahead,” she said. For learning content, the Lughati initiative uses Horouf, an educational app developed by Horouf Educational Publishing. The app seeks to make language instruction more engaging and accessible to young learners. Educators around the world have begun to place mobile devices in the hands of young children for educational purposes. The University of Southern Mississippi recently provided four elementary schools in Mobile, Alabama with tablets to aid in learning language, science, and math. Last December, the Bahamas government also provided tablets and eLearning software to six different elementary schools on their islands. Reasons and pedagogies that go behind these efforts tend to vary widely. While Dr. Mohammed of Sharjah seeks to emphasize instruction in Arabic, the effort in Mississippi hopes to catch students who might fall behind early. The app the schools use, Speakaboo, emphasizes literacy while promoting study in other fields as well. The program in the Bahamas, however, is more intended to promote digital literacy and foster long term economic development. It targets preschools in less affluent neighborhoods where many learners do not own devices and have varied internet access. In general, the use of tablets with young learners emphasizes existing efforts; it doesn’t stand as an initiative itself. Existing research on their general efficacy is by and large inconclusive. Many study the use of a given educational software or learning module via tablet, although it does seem that their use leads to higher student engagement. Student Data Security Is at Risk. We Need to Update FERPA.